1. London-Eating - comprehensive guide to all London restaurant information by location, prices and cuisine. It encourages diners to post their own reviews of dining establishments. 2. Best London Restaurants - strives to be the definitive guide for the very best restaurants, gastro pubs and dinning rooms in London. 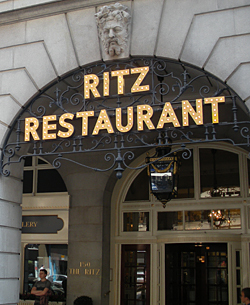 Besides an extensive selection of restaurants, there are special offers and daily updates on dining options around London. 3. Urbanspoon London - information and reviews gathered from “critics, food bloggers and friends” covers the range of fine dinning to cheap eats by neighbourhood and underground tube locations. Highlights of “talk of the town” restaurants to keep everyone current on the latest in restaurant news. 4. Vindaloo Vic - dedicated to Indian cuisine restaurants in London: including Indian restaurant reviews and a handy map of their locations. There are over 9,000 Indian restaurants in the UK. 5. Fluid London - largest independent guide for “eating, drinking, and going out in London”. 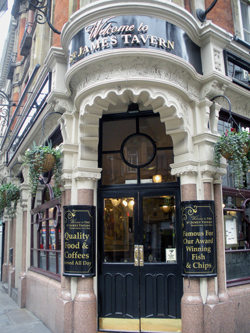 Information on pubs, bars and restaurants with customer reviews, news items and special offers. 6. London Appetizer - extensive listing of restaurants by cuisine and location with articles on new places to dine and reviews. 7. Traditional Pubs Guide -absolutely everything about pubs, beer, and much more. 8. 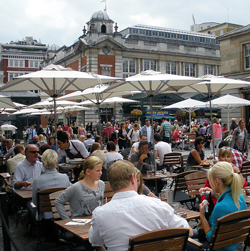 Square Meal - covers restaurants, bars, venues, and events in London dinning. Ratings in different restaurant categories, reviews, news articles, and forums of reader discussions. 9. Afternoon Tea London - presents all venues for enjoying tea, coffee, sandwiches, pastries, etc It is essential to make a booking or reservation and that can be done on this site. 10. Afternoon Tea - explores all the best places to take afternoon tea. Offer tours combined with afternoon teas and special discounts. News articles about tea and tea establishments. Booking service is provided.